The Corn Crib, built circa 1860, was not from one of the lost villages. It was originally on the J. Fulton farm, Lot 37, Concession 5, Township of Cornwall, which was just north of Moulinette. 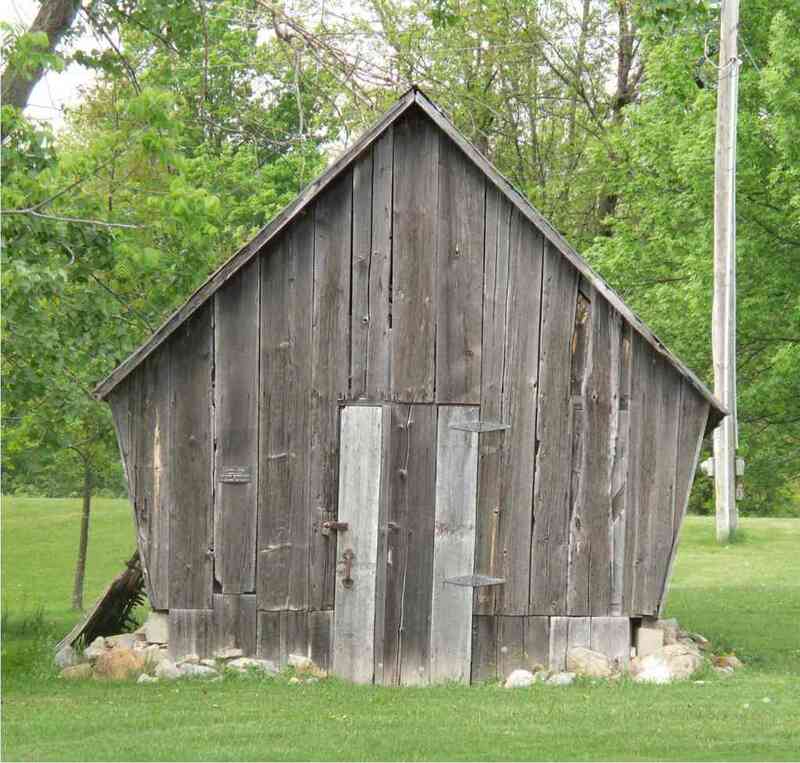 It is typical of corn cribs of the period and is constructed from sawn planks over a frame of hewn and rough timber. It has a steep-pitched roof and slanted sides, which allowed the rain to run off away from the building, keeping the corn dry. The original cedar roof was replaced with a tin roof many years ago. There are vertical ventilation openings on the side walls to allow air to circulate in order to dry the corn. Corn cribs in the past would have been placed on stilts to ventilate the building. The stilts would have been covered in tin or a tin plate and would have been attached to the top, preventing mice from entering and eating the farmer’s crop. The Corn Crib’s interior is not accessible to the public. 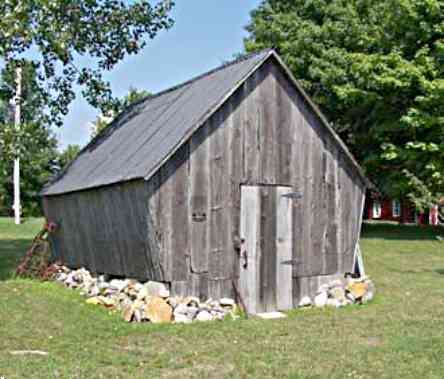 The Corn Crib was kindly donated to The Lost Villages Historical Society in 1997 by Al and Mary Ann Nessith.